Use your perfect imagination and creativity to build a perfect bridge! 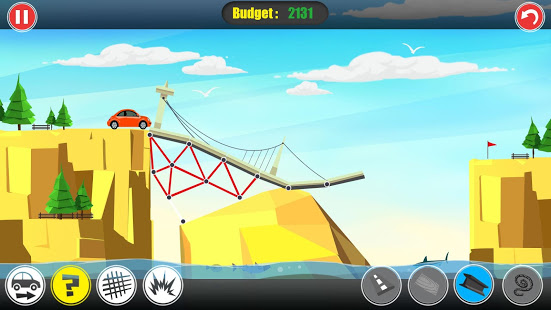 Use all the methods to make your car successfully reach the other side of the bridge, any traffic path is possible! Four kinds of building materials for you to choose: concrete pavement, steel, steel cable and wood; as an architect, you need to choose the right material to create a perfect bridge; In addition, the cost of building materials is different. It is not difficult to build a bridge. 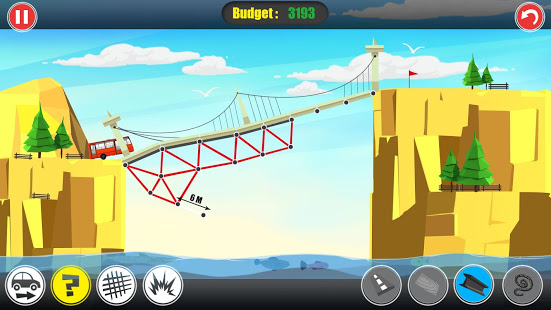 However, it is not easy to build a cheap and sturdy bridge. 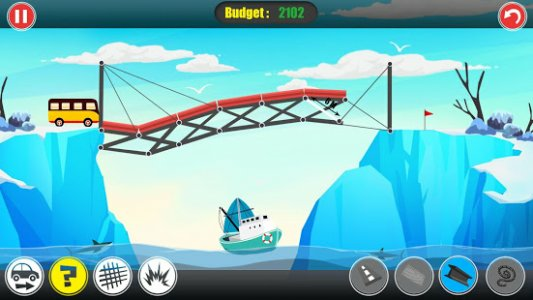 It is important to build a perfect bridge by using reasonable materials. 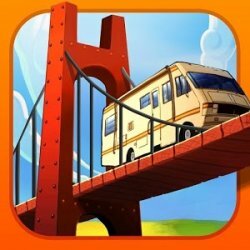 Dozens of bridge challenges are waiting for you. 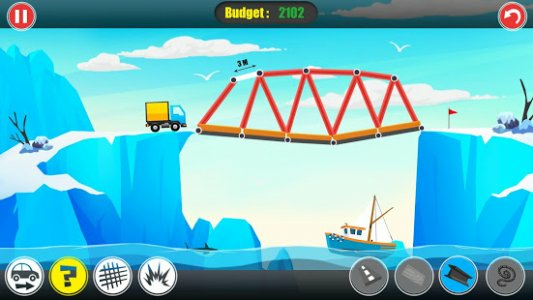 It is very simple to make a bridge and make cars cross. 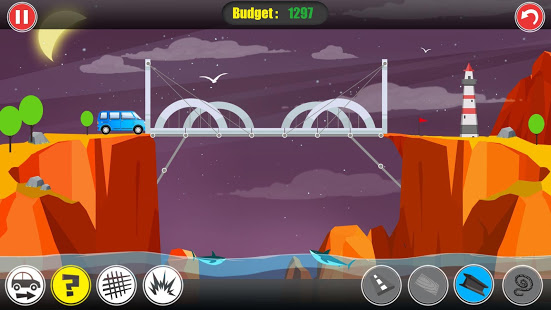 In order to meet all the bridge conditions, it is difficult to obtain a 3-star rating; Daily rewards can be obtained. There are lots of the secret challenges, and you can get rich rewards from them. In addition, the new space model has just been updated. Come to unlock the space model and try to build bridges without gravity. We have new reminder system. When you encounter bottlenecks, you can get tips by spending a little gold coin, which will definitely helpful, and you get tips 3 times for each challenge. No need for networking, and free play. The idea of the top bridge architects cannot be interrupted by the network. You can play this game anytime, anywhere, as long as your phone has enough power to play. Pay attention to your budget. Don't spend too much building materials in unnecessary places! Constant testing, observe the changes of the bridge in order to modify!